Now that spring is finally here, I have received several designs requests for whole gardens but also a fair amount of enquiries for advice. This new service I am offering is becoming increasingly popular, I recently visited a garden in Taunton which was looking a little tired, the clients just needed some advice on how to improve their lawn, plant suggestions for a small shady area & advice on weed control. I also helped them decide the best spot for growing vegetables and as first time veg growers, gave them advice on what to grow. 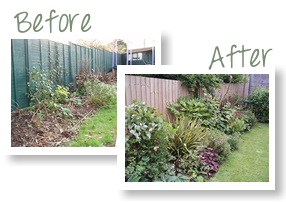 The clients were thrilled with the service and felt that it was very reasonable, particularly as it would hopefully save them time and money on buying plants & vegetables that would not suit their garden. If you would like to know more about any of the services I offer, please just give me a call.